The informal sector makes up 70% of the dairy market in Kenya, and 90% of smallholder dairy farmers are part of this sector. Many inefficiencies exist within the informal dairy sector, causing smallholders to continually live below the poverty line and earn only 2 USD per day. From our field visits to the shops of our dairy traders we've noted that many of these inefficiencies are stemming from inadequate equipment and manual bookkeeping practices which are prone to error, leading to reduction in profits for both dairy trader and farmer. It is very common to see dairy traders and farmers transporting their products in re-useable jerry cans. Having a digital scale (which isn't cracked) would aid in precisely measuring the milk and provide accurate cost per value of product. With partnerships with LishaBora, they would be better equipped to buy the equipment they need to grow their business. Manual bookkeeping practices are slow and prone to human error due to miscalculation. These methods are not sustainable as often the farmer is adding up information based on memory knowledge of relationships with the farmers, without giving unique ID's to each farmer...which can be confusing with common names in the rural areas! A whole months record could be destroyed just by an open window in the shop, or a bit of spilt chai (tea) on the table. As well, finding old records takes time and is hard to follow-up on at the end of the month when the stack is building up. Those of us lucky to have grown up with technological aid are quite aware of the benefits of digitizing manual procedures. Not only does this increase accuracy of the calculations, but it also frees up time of the entrepreneur who is having to manually enter and calculate all the data by hand at the end of the day. The additional benefit of our business management mobile application is that it creates a historical record of the transactions between the farmer and trader. Currently, farmers are selling their milk products to the traders, while the traders are giving out loans to the farmers who buy cow feed and health products from them. LishaBora's app is not reinventing any wheels, but simply making daily transactions more efficient with the benefit of building credit scores for both smallholders and traders. Our target population for the dairy trader business management app is a small dairy trading entrepreneur that collects 10 - 150 farmer’s milk. We are the only startup company in Kenya working directly with dairy traders in the informal market. Currently, we are working with 200 farmers, 3 dairy traders, have a monthly revenue of 7,500 USD. We are developing the full version of our business management app to scale with 100 traders who have been interviewed and are very excited to get on board! Our revenue model is based on selling our high-impact products and services to dairy farmers through our business management app, and fees associated with loans to dairy traders and farmers. 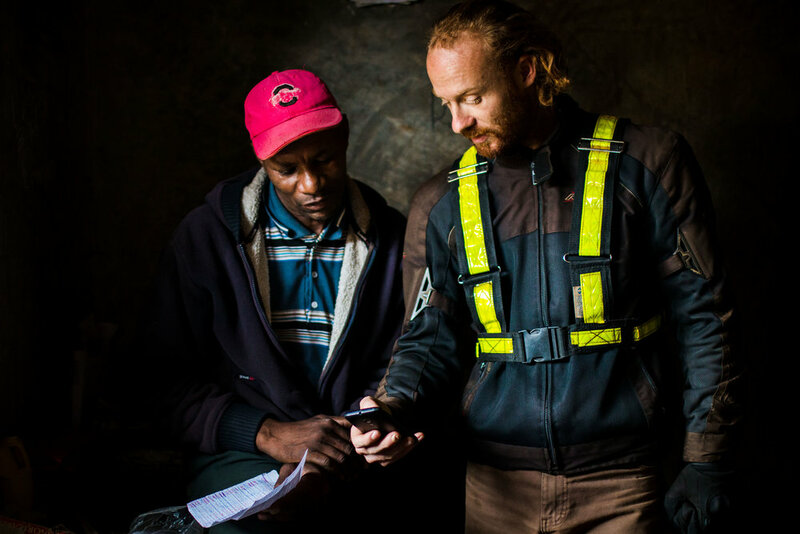 By formalizing and digitizing the milk collection process through our business management mobile application, we improve market access for smallholders, and provide credit solutions to a segment of the population which had no credit before. LishaBora is the only feed company working throughout the value chain, addressing the systemic reasons that keep smallholders trapped in poverty. We are excited to be partnering with more and more traders in rural Kenya. Follow our journey and stay tuned for the official launch of our business management mobile application which will be available on the Android platform soon! !